What test should you be considering? Who should you test with and why? Can YOU save on a World subscription to Ancestry.co.uk? In the year since the last DNA Special Edition the landscape has changed considerably. DNA testing is no longer something that only concerns a minority of genealogists - it has become a key tool for experienced researchers, just as the use of computers in genealogy did in the early years of this century. But innovations bring problems as well as solutions. Many otherwise very experienced researchers find it very difficult to get to grips with what DNA testing can and can't do. Partly this is because DNA testing has itself evolved - when I first started writing on the topic over a decade ago the choice seemed to between two tests, Y-DNA and mtDNA. Those tests were very limited in their scope, interrogating only one line out of many - and unless one tested alongside a putative cousin the chances of getting a meaningful result ranged from small to minuscule. It hasn't changed significantly. The DNA tests that have grabbed the genealogical world by its genes are autosomal DNA (atDNA) tests, although you wouldn't necessarily know this from a brief look at the websites of the companies that sell these tests. Rather than focusing on technical detail they sell dreams, hinting that you can find out where your ancestors came from with one simple - and now very affordable - test. But whilst the ethnicity estimates that get such prominent billing from the marketing departments are fairly easy to understand, they're also pretty meaningless in genealogical terms. Ancestry DNA say that their ethnicity estimates relate to where your ancestors lived - or might have lived - thousands of years ago. Fascinating, perhaps, if you assume they're right - but completely untestable given that parish registers and other similar records only go back about 500 years, and in most countries surnames originated less than 1000 years ago. In any case our DNA doesn't include segments from all of our ancestors - only a small percentage of our distant ancestors have contributed any part of our DNA. You might also have been tempted to take a DNA test because you thought it would be simpler/quicker/easier than researching your family tree using conventional research. It isn't - in fact, if that's your motivation you would do far better to save your money and complete your My Ancestors page at the LostCousins site (because this is simple, fairly quick, and very easy). Many of you will be inclined to stop reading at this point, because I have seemingly confirmed your view that DNA tests are a waste of money. But it's very much in your interests to keep reading because the reality is very, very different - DNA is undoubtedly the best thing to happen to genealogy since the Internet! At the very least read the brief Summary which follows. One of the first things we learn when we start to research our family tree is that records aren't perfect - and neither were our ancestors. We are continually frustrated by births that weren't registered, baptisms that weren't recorded, illegitimate children whose father is unknown, incorrect ages and fathers' names on marriage certificates, wrong ages on death certificates - and that's without the more exotic hurdles such as foundlings, adoptions, cuckolded husbands, bigamous marriages, late or non-existent marriages, and changes of name. We don't have a time machine, so we can't go back and ask our ancestors to fill in the gaps in our knowledge, however we do have evidence that our unsuspecting ancestors left behind, but which won't be found in any archive or record office - segments of their DNA that we and our cousins have inherited. It would be absolutely ludicrous if we blatantly ignored that evidence, wouldn't it? I know some people say "It's my DNA", but it isn't really - apart from the odd mutation every single base out of the 3 billion pairs has been inherited from our parents, who in turn inherited them from their parents, and so on. What is true is that, with the exception of identical twins, we all have a different combination. Even brothers and sisters have very different DNA even though they've inherited it from the same parents. There are three key benefits from using DNA as part of our research. One is the way in which it can corroborate the written evidence and family stories that have been passed down over the generations; another is the way in which it can corroborate the research that we've done based on the written evidence - after all, just because the evidence has survived doesn't mean that we've interpreted it correctly. But arguably the most important benefit is the opportunity to knock down 'brick walls' by using DNA evidence to fill in gaps in the records, or to point us in the direction of records that we wouldn't otherwise have thought to search - I'm thinking particularly of those all too frequent cases where an ancestor materialises in a parish without any evidence of his or her origins. This is why DNA evidence simply cannot be ignored! The vast majority of all the DNA tests sold to family historians in the past have been autosomal DNA tests, even though it's a relatively new test, and I'd estimate that currently they're outselling other tests by a factor of 50 to 1. So whilst there are instances where a Y-DNA (or occasionally an mtDNA) test is theoretically the right choice, in practice you're far more likely to get matches when you test atDNA - and not just because more people have tested, but also because atDNA is inherited and passed on by both males and females. Yes, the DNA experts will recommend you use Y-DNA and mtDNA - but few of those experts are retirees living on fixed incomes! If you can only afford one test, then in most cases you'll be better off with an atDNA test that will produce thousands of matches (albeit only a few hundred on the line of interest) than a Y-DNA or mtDNA test that costs at least twice as much and may not produce any useful matches at all. Note: if you are trying to resolve a problem which is more than 6 generations back autosomal DNA is less likely to help. Ask my advice if you can only afford one test. There is one big advantage to Y-DNA - because it follows the male line, people with the same Y-DNA will tend to have the same surname. So if you're trying to figure out who the unknown father of an illegitimate male child was, Y-DNA is well worth considering - provided there is a descendant in the direct male line who is prepared to provide a sample. When it comes to Y-DNA and mtDNA tests you'll usually have very little choice about who tests - you need someone who carries the same Y-DNA or mtDNA as the ancestor you're trying to find out about. For a Y-DNA test this must be a male in the direct male line of descent (typically someone with the same surname); for an mtDNA test the donor can be male or female, but they must be in the direct female line of descent (in order words, the ancestor you're trying to find out about must be their mother's mother's….. mother). But, for the reasons quoted above in the previous article, it's very likely that the test you'll start with is an autosomal DNA test. Often you'll be the best person to test - or as good as anyone else - and not having to persuade someone else to provide a sample makes the process easier. But if you have a parent still alive, or if there are siblings of your parents who are still living, it's better to test them - provided your budget will allow it. In general always choose donors from the earliest generation - this will increase the chronological reach of the test. Tip: the biggest mistake I made was not getting my father and my mothers's aunt to provide DNA samples before they passed away in 2011 and 2010. Because atDNA tests are now a lot cheaper it's feasible for some family historians to consider buying tests for their siblings and cousins. For example, whilst my brother and I have the same parents, we each inherited just half of their DNA - in other words, we each have a different mix of the DNA our parents inherited from their own parents. When multiple siblings test it not only produces more matches, it can also convert apparently distant matches into close matches. The motivation for persuading your cousins to test is usually a little different: when you take an atDNA test you'll get thousands of matches with DNA cousins, but you won't know which of those cousins might be able to help with a specific 'brick wall'. However, if you get a cousin who shares that 'brick wall' to test you'll know to home in on the matches you share. Who should you test with? Of all the DNA companies that family historians should be considering, only Family Tree DNA currently provide Y-DNA and mtDNA tests - so you won't have any choice. Warning: other companies may include some Y-DNA and mtDNA information in their autosomal tests, but these results cannot be used in the same way as standalone tests. When it comes to autosomal DNA you have ample choice, and the most unbiased source to atDNA tests is the International Society of Genetic Genealogists wiki, which includes a comparison chart which you will find here. But if you were to ask me, my advice would be to test with Ancestry DNA if you can, because they have by far the largest database of results - a situation that I can't see changing, given Ancestry's position as the world's leading genealogy website. And, without wanting to get too technical, another factor in favour of Ancestry is their use of a 'phasing' algorithm, which allows them to lower the threshold for matches, and thereby increase the number of cousins they'll find for you. The main downside of testing with Ancestry is that without an Ancestry subscription you can't view the trees of your DNA cousins (follow this link for a full list of the features which aren't available without a subscription). But this doesn't mean that every member of the family has to take out a subscription - you can have more than one DNA test associated with a single account, so just as long as you keep one subscription going you shouldn't have a problem. And, just as you can find cousins at LostCousins whether you use Ancestry or Findmypast as the source of your census information, there are also ways to connect with DNA cousins who tested with another company. My favourite is the GEDmatch website which is free (unless you want to use the most advanced tools), and even when I match with a cousin at Ancestry or Family Tree DNA I'll usually analyse the match at GEDmatch if I can (this does, of course, require your DNA cousin to have uploaded their results to GEDmatch). But you can also transfer Ancestry DNA results to Family Tree DNA. It’s now free to view all of your matches, when you do this, though you'll need to pay a modest $19 fee if you want to be able to use the Chromosome Browser and other advanced FTDNA features. You might be wondering whether it's possible to test with Family Tree DNA and transfer your results to Ancestry - it isn't, I'm afraid. The only way you can compare your DNA with that of 4 million others is to test with Ancestry. On the other hand, the FTDNA test (known as Family Finder) is cheaper and available worldwide at the same (US$) price - and they're thought to have around half a million results in their database, so you'll still get more matches than you can handle. I mentioned earlier that there is one company whose Ethnicity Estimates seem to be worth looking at - Living DNA. But at the moment you can't find DNA cousins through their site, nor can you transfer your raw data to other sites. Nevertheless, if you have already tested with (say) Ancestry, but want a regional breakdown of your British ancestry, it's well worth considering following up with a Living DNA test. If you take an autosomal DNA test such as Ancestry DNA, or Family Finder from Family Tree DNA then in isolation it'll tell you virtually nothing about your ancestors. It certainly won't tell you their names and, whilst you might possibly learn that you have ancestors from a part of the world you didn't expect to feature in your family tree, it won't tell you which of your ancestors came from which country or when. In short, anyone who thinks a DNA test is a substitute for doing research into their family tree is going to be sorely disappointed! I ordered an Ancestry DNA test on 25th April, received it on 26th April and sent it back a day or two later. On May 2nd I was told my sample had arrived at the laboratory and warned that it could take 6 to 8 weeks before my results were available. It turned out they were being over-cautious because on 29th May I received another email to let me know that my results were available - in total that was just under 5 weeks after placing my order, a pretty good turnaround. What did I learn? First of all I found out that, as expected, Ancestry's Ethnicity Estimates are still of questionable value - as you can see, I was told that I was 20% Irish, despite having found no trace of any Irish ancestry in my tree. However, if you look at the shaded area which represents Ireland you'll see that it not only includes Ireland but Scotland, all or most of Wales, the whole of northern England and a good chunk of the west of England (I have ancestors from Devon). Similarly Great Britain includes part of France, plus most of Belgium and the whole of the Netherlands. Europe West includes not just a large chunk of continental Europe, but also part of southern and south-eastern England. And in any case, they're telling me where my ancestors were thousands of years ago, whilst I'll be lucky if I can ever trace them prior to the 16th century. "I don’t want to discourage anyone from testing, only to be sure consumers understand the context of what they will be receiving. Generally speaking, these results are accurate at the continental level, and less accurate within continents, such as European regional breakdowns." In other words, if you already know your ancestors were from Europe you probably aren't going to discover anything useful. Or as I've said on more than one occasions, Ethnicity Estimates are for amusement only. One reason is that the sample sizes (against which our DNA is compared) are small, sometimes minuscule - see this presentation from Who Do You Think You Are? Live which quotes some of the statistics. Tip: if you want to skip to the slides which show sample sizes, they start around 23 minutes and 30 seconds into the presentation; however, if you can, I'd recommend you watch the whole video. There is one exception: Living DNA provide an analysis which seems ideal for people like me with mostly British ancestry (you can see my Living DNA results here). However it isn't a cheap test, and it doesn't offer any prospect of finding genetic cousins - at least in the short-term - so I don't recommend it for first-time testers. If the ethnicity estimates that DNA tests provide are generally useless, why does anyone who knows this bother testing? In a word, cousins. Lots and lots and lots of cousins. For example, when I first logged in to view my results at Ancestry I had well over 6000 matches with DNA cousins - people who share segments of my DNA, and who are definitely, very probably, or quite possibly cousins of mine (the degree of certainty depending on the amount of shared DNA). Tip: as more people test you'll be matched with more and more cousins; however, don't assume that someone who is on the list today will stay there forever - from time to time the testing companies refine their algorithms and this will almost certainly result in some matches disappearing. What makes unravelling DNA matches even more difficult is that if you’re the only person in your family to have tested, you won't know which part of your tree you should be looking in for the common ancestor. All this is so very different from finding cousins at the LostCousins site - there you know almost immediately not only how closely you're related, but which ancestors you share, and this is why you should always complete your My Ancestors page before splashing out on DNA tests. And yet, because DNA can tell us things that the paperwork can't, with so many matches it's a wonderful opportunity to fill in the gaps and extend our knowledge of our family tree. If you're a reasonably experienced family historian you'll have a 'brick wall' on every family line. In general, the more experienced you are, the more 'brick walls' you're likely to have - that's because behind every 'brick wall' there are at least two more. When you are matched with a DNA cousin there's one thing you know - you have shared ancestry on at least one of your lines. There are several possibilities - one is that the ancestor you share could be on your side of the 'brick wall, and in this case you can exchange notes and collaborate in order to knock down that 'brick wall' (two heads are always better than one). Another possibility is that the 'brick wall' that's stopping you going any further isn't a 'brick wall' as far as your cousin is concerned - perhaps they came across a family Bible or some other clue that has enabled them to knock it down. Great news for you! The most challenging possibility is that your common ancestor is not only on the other side of your 'brick wall', but also on the other side of your cousin's 'brick wall'. And yet even in a case like this, by comparing notes and making inferences you've got a reasonable chance of making progress. At worst it's likely to provide you with a few new leads to follow up. The key problem with DNA is that whilst you'll know who you're related to, you won't know how you're related to them. I don't mean whether they're a 5th cousin or a 3rd cousin one removed of yours - to be frank, that's not particularly important - but who your common ancestors were. So whilst you could work through each of your matches one by one, hoping to find an obvious connection, there are better strategies available. Whilst around half of your cousins won't have uploaded a family tree, and of those that have some will comprise just a handful of entries, there is no need to write off those connections as useless - they can still find you, provided you've uploaded a tree of your own (even if it's a private tree, which I would advise at Ancestry, since any subscriber can see a public tree, whether they're a cousin of yours or not). So by and large you can forget about cousins who haven't uploaded a tree of their own - the responsibility is theirs. But if you tested with Ancestry you'll still be left with thousands of matches (the number will be much smaller if you tested with Family Tree DNA). It makes sense to start by looking at the closest matches, the ones who are 4th cousins or closer, because it will usually be easier to find the common ancestors - but after that, how do you decide which ones to focus on? The good news is that at Ancestry you can search the matches where there are trees in two different ways - by surname and by birthplace. Note: Family Tree DNA currently doesn't allow searching by birthplace - it's a major shortcoming. Searching by surname is the most obvious way to start, though unless the ancestral surname you're searching for is a rare one, most of the matches you get will be false matches. That is to say, the fact that you and your cousins have the same surname in their tree will often be nothing more than a coincidence - just as it would be if your father and mother had the same surname in their tree. I came across a good example of this at the weekend - one of my DNA cousins has three of my ancestral surnames in his tree, but only one of them relates to our shared ancestry. But because most of our DNA cousins are distant cousins it's quite likely that the surname of the common ancestors doesn't appear in both trees. Indeed, it may not appear in either tree - because it's on the other side of a 'brick wall'. Conundrums like these are challenging but can be very rewarding, because for most of us the key objective of testing our DNA is to knock down 'brick walls'. Searching by birthplace is often the better approach - before the railways and the agricultural revolution families often stayed in the same area for many generations (whereas a surname could change after just one generation, ie when a daughter marries). If you have been matched with someone whose ancestors came from the same small village it's well worth looking there for your connection, even if there seem to be no surnames in common. But there are other clues that can help - in particular, looking at the matches you share with each of your cousins can be useful. Most useful is when known cousins have tested, because you already know how you're related to them - a 1st cousin shares half your ancestors, so if you share a DNA cousin with them you know which half of your tree to be looking in for the common ancestor. Even better, a 2nd cousin shares only one-quarter of your ancestors, so when you share a DNA cousin with them you're restricted to looking for a match in just that quarter of your tree - and shared matches with more distant cousins are even more useful. Tip: when you find a cousin at LostCousins you'll be able to see whether they've taken an atDNA test. Shared matches with DNA cousins can also be useful - whilst you might start not knowing how you're related to any of them, common factors often become apparent. For example, if the only common factor is that you all have ancestors from Yorkshire, that would be a good place to start looking for your connection. If you live in the UK you can save £10 on Ancestry DNA tests from 8th June until 18th June when you follow this link. FTDNA is offering discounts on its key tests until 18th June - the cost of their Family Finder (atDNA) test is slashed to $69 (which means that the cost for a UK researcher will be about £65 including shipping). You can also save on Y-DNA tests, and there's an extra saving if you take both. Find out more here. BNA have by far the largest online collection of British Newspapers in the world, with almost 20 million pages and over 240 million articles. If you've only ever searched the collection through Findmypast you might be surprised to find how much more powerful the search is at the BNA website. Not only can you limit your search to a specific newspaper, you can specify the time range, not just by decade or by year, but by month and day - however, for serious researchers the ability to restrict your search to articles added to the collection between specific dates is perhaps the most useful enhancement. I can't promise this link will work for everyone, but if you're in the market for a World subscription it's certainly worth trying - the normal price is a hefty £179.99, so I'm sure any saving will be welcome! First a spoiler alert - if you haven't yet read The Blood Detective you might want to avert your eyes and follow this link to my review of that first book in Dan Waddell's genealogical mystery series. 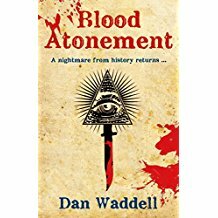 The second - and latest - of Dan Waddell's novels featuring genealogist Nigel Barnes has him combining conventional research with DNA evidence to solve a murder mystery with its source in the 19th century. Once again our hero joins forces with Chief Inspector Grant Foster, whose life was in the balance at the end of the previous book, but I suspect the real question on every reader's mind is whether he'll resume his extra curricular relationship with Foster's sidekick, Heather Jenkins, who has recently been promoted to Detective Inspector. There are no more nostalgic visits to the Family Records Centre, which had closed by the time the events of this story takes place - instead this book finds Barnes heading for First Avenue House in London's High Holborn (to look at wills), and the National Archives in Kew. And he's also offered an opportunity to go the genealogist's Mecca, the Family History Library in Salt Lake City, and whilst he has never previously ventured beyond Europe, surely he won’t turn it down? If you have enjoyed the first two books in the series look out for my next newsletter, as I'll have exclusive news about the next Nigel Barnes book! I've updated the DNA offers article because Living DNA have now revealed their sale prices. Also British Newspaper Archive have just announced that they've hit the 20 million page landmark - but they won't be stopping there, the contract with the British Library provides for 40 million pages over a 10 year period!